Our Outdoor Adventure program is in full swing this spring! Recently you read the story on our Hog Hunt and Quail Hunt; now we’ll tell you about our fishing and muddy adventures. These experiences present our sponsored Sheep Dogs – those injured in combat or the line of duty – with challenges that test their rehabilitation progress, restore independence and self-confidence, and foster camaraderie and peer support – two things that are vital to inspiring a positive state of mind and perspective. 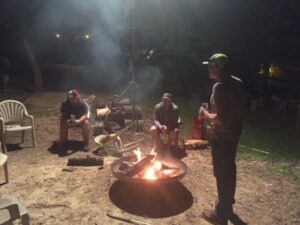 2017 Spring White River Fishing Outdoor Adventure – The weekend of April 24-26, SDIA held their second annual White River Fishing Outdoor Adventure at Newland’s Float Trips, Lodge & Conference Center in Lakeview, AR. Sponsors Broadway Contracting and United Rental went out of their way to make this trip a memorable experience for our three sponsored combat-wounded Army veterans: SSGT Ryan Waddell, SSGT Steve Charles, and SSGT Forrest Montgomery. 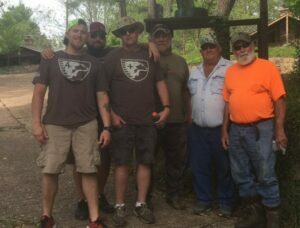 A weekend of fishing, grilling, and camaraderie was just what these veterans needed. SSGT Charles was a combat medic while serving 7 years in the Army; he saw and worked on countless traumatic injuries in the field. “Those are things I’ll never forget,” he said. Charles survived three IED attacks, and in one sustained injuries to his back and head. 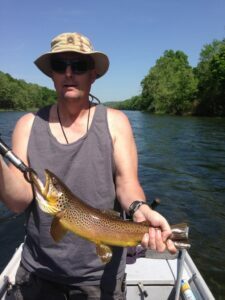 Following his deployments, he went into the Army Reserves and Arkansas National Guard, and in 1994 he joined the Rogers (Arkansas) Police Department. Charles medically retired in 2009 after he injured his hand while chasing a gang suspect. In 2006, SSGT Forrest Montgomery began his service as a forward observer, which he did until 2012 when he broke his back. 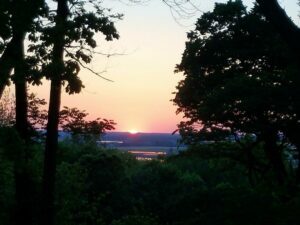 For Montgomery and Charles, being in the brotherhood that is the military set the bar of camaraderie and peer support very high…so high that returning to civilian life left a hole that until recently was left unfilled. 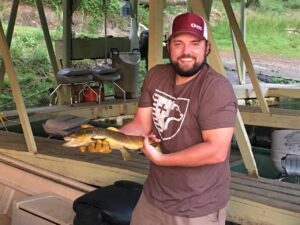 What these veterans experienced on this fishing trip is exactly what we hope to accomplish on each of our Outdoor Adventures. 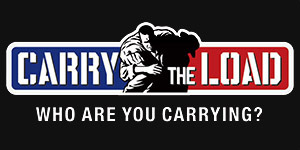 To remind these warriors and their first responder brothers and sisters that they are not alone and get them reengaged in life is what it’s all about. 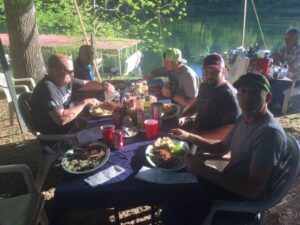 Thanks again to Newland’s, Broadway Contracting and United Rental for sponsoring our Spring White River Fishing Trip and providing a welcoming and relaxing environment for these heroes. To see more photos from this trip, visit our Facebook Album. 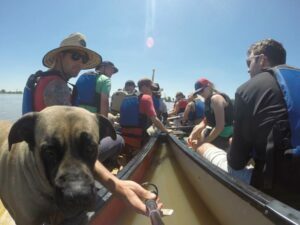 St. Louis Chapter’s 2017 Muddy Adventure – May 5-7 was an exciting weekend for 6 St. Louis Sheep Dogs and SDIA’s St. Louis chapter – they partnered with Big Muddy Adventures (BMA) for a weekend adventure of canoeing and camping. 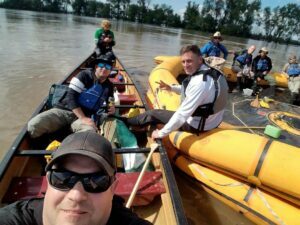 After meeting up on Friday at BMA headquarters in St. Louis and getting geared up, the group of St Louis Firefighters followed Big Muddy Mike’s lead to St. Charles, Missouri. They camped out that night, swapping stories around the campfire and relaxing. The next morning they put in on the Missouri River heading for wild and scenic Pelican Island. 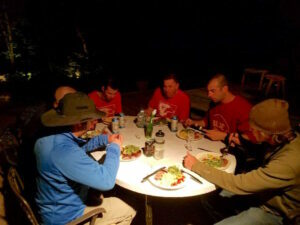 After a campfire dinner with more stories and laughter, the group retired to their tents. After breakfast, they got back on the water, heading for the Mighty Mississippi; a quick stop for lunch on Duck Island and they were on to the Mississippi. They camped on Mosenthein Island, and on Sunday landed on The Gateway Arch grounds at 1:00pm, completing a total of 26 miles on the water. 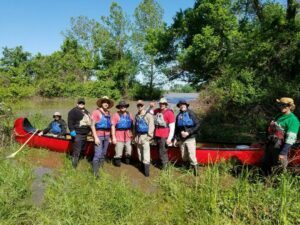 All St. Louis expenses for this trip (including paddling gear, canoes, guides, food and local transportation) was provided from a grant through Big Muddy Adventures. For more photos from this trip, visit our Facebook Album. 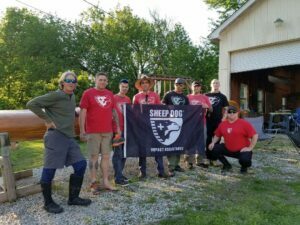 If you are or know of a Sheep Dog injured in combat or the line of duty that could benefit from the healing and camaraderie of our Outdoor Adventures, please contact SWest@SheepDogIA.org.